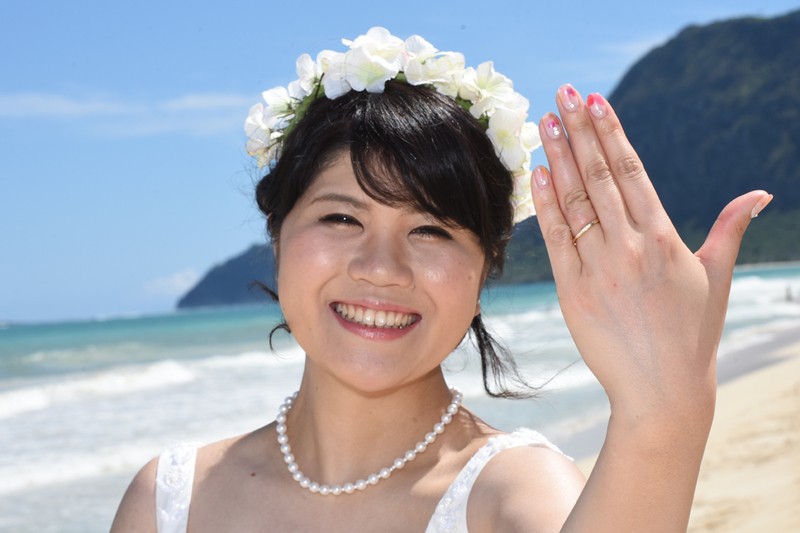 Lovely Japanese Bride Hitomi in the "princess pose" at Magic Island. 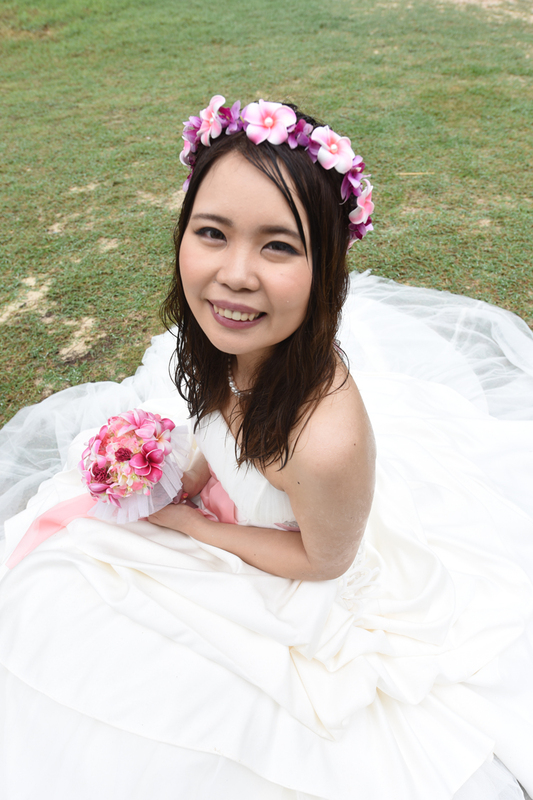 Simple is nice. 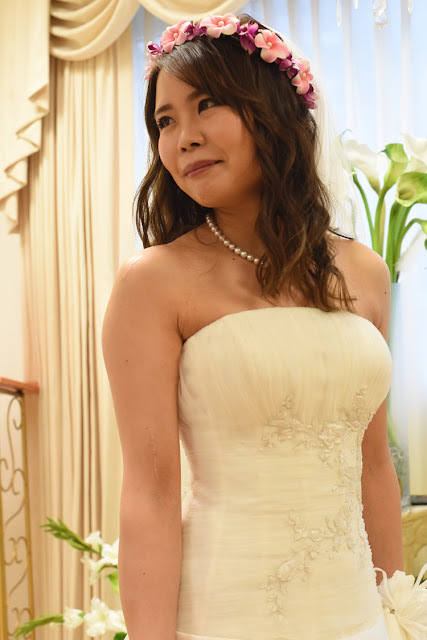 Nothing so fancy it takes away attention from the Bride. 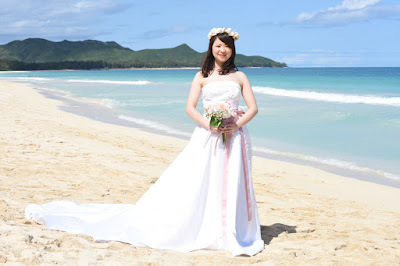 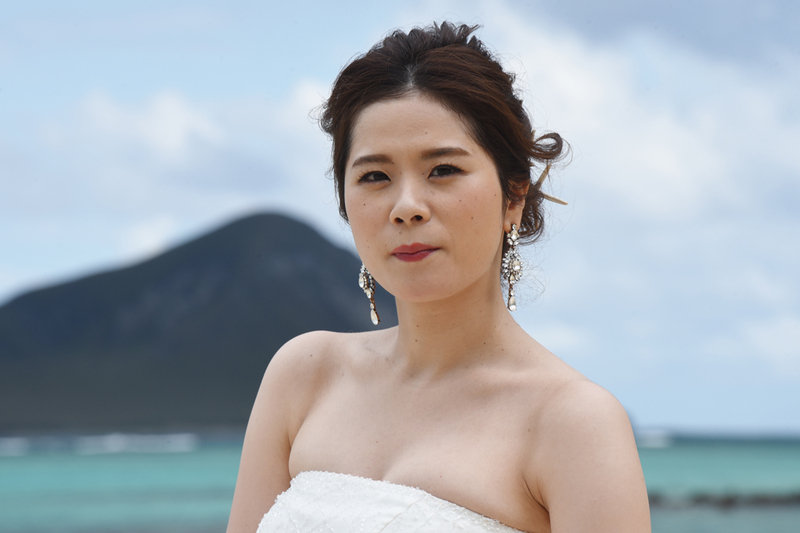 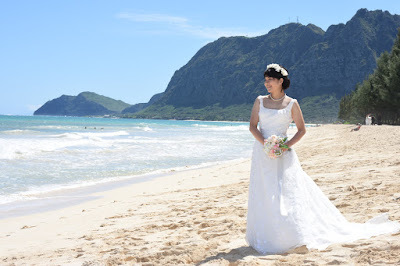 Adorable shot of Japanese Bride Atsuko at the scenic Waimanalo Bay, East Oahu. 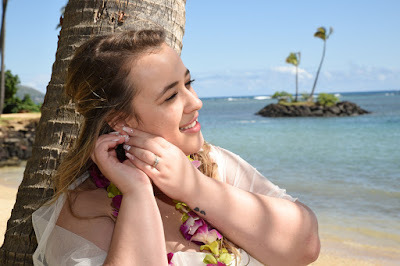 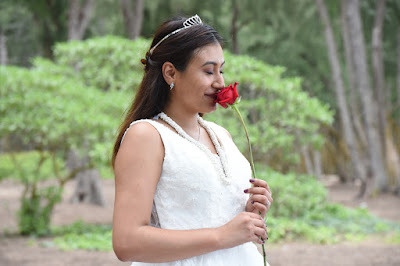 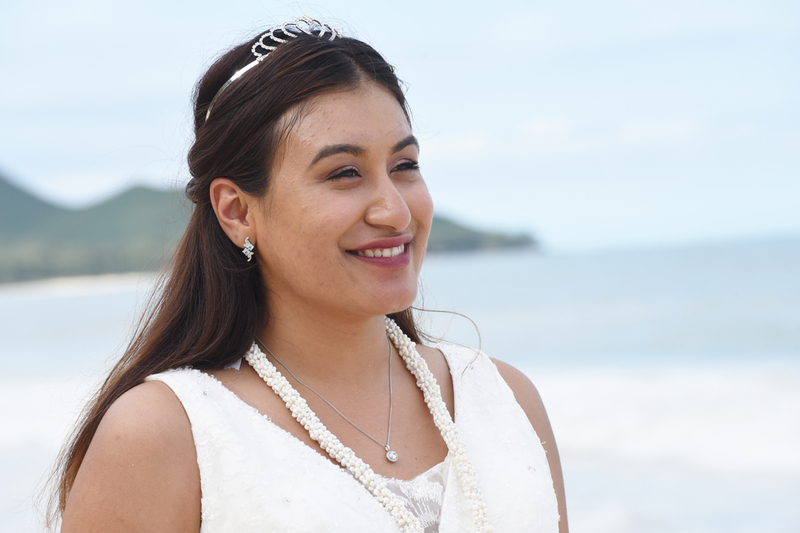 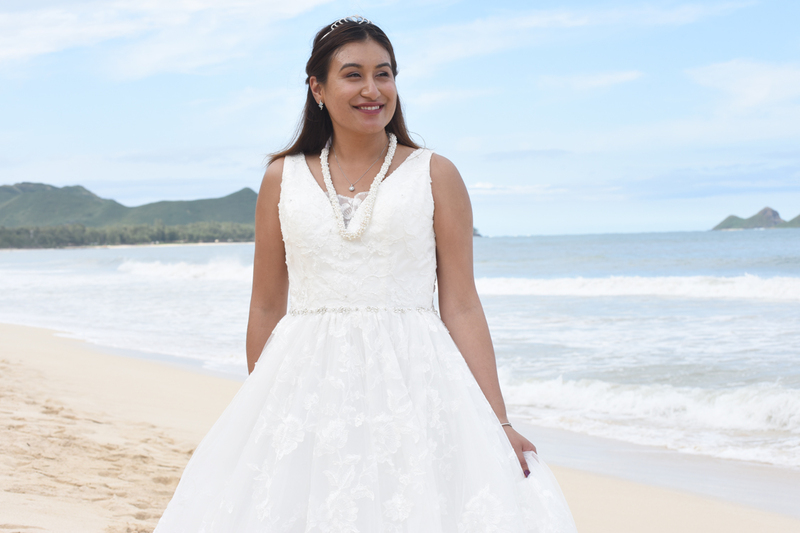 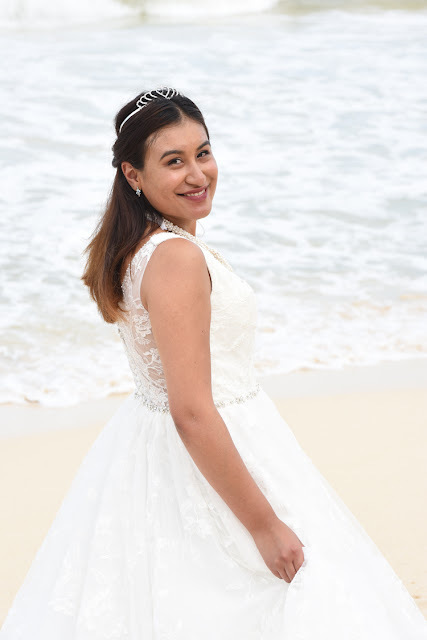 Lovely shot of Waimanalo Bride Rosa. Sometimes you have to stop and smell the roses. 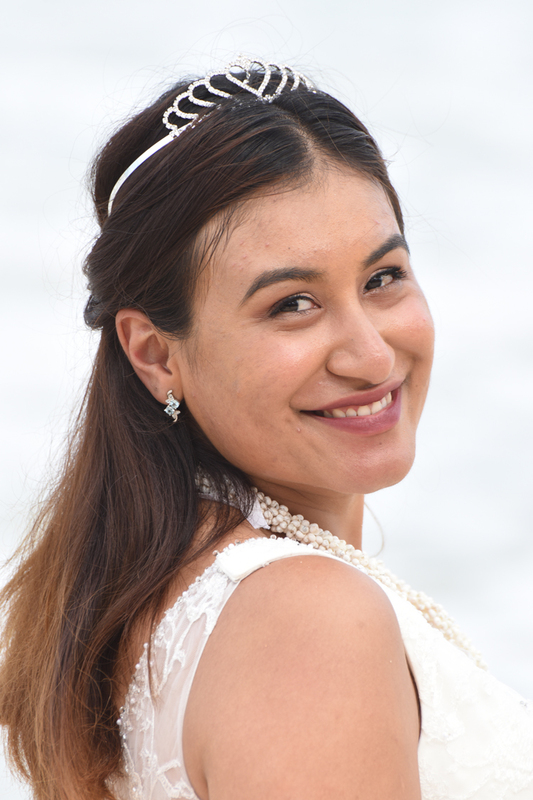 Especially if your name is Rosa. 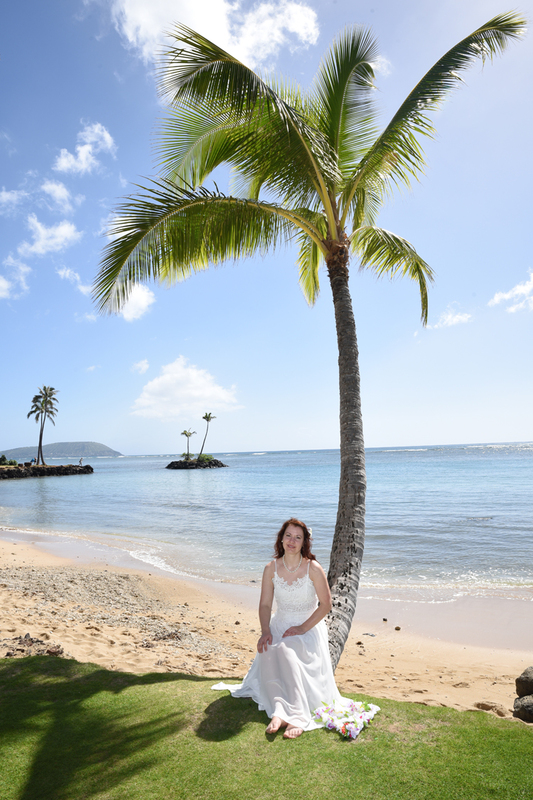 What a privilege to be able to shoot photos for such a stunning Bride! Whitney is all decked out with purple white and green orchids. 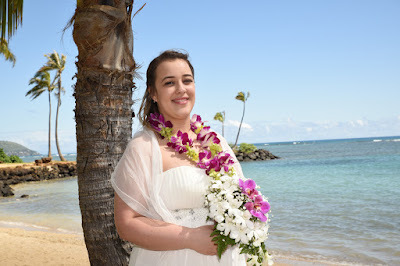 Photo taken at Kahala Beach, Honolulu. 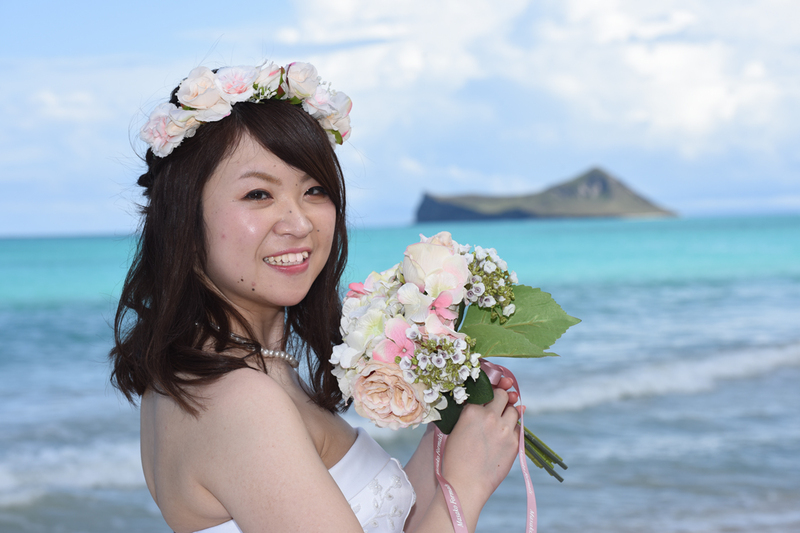 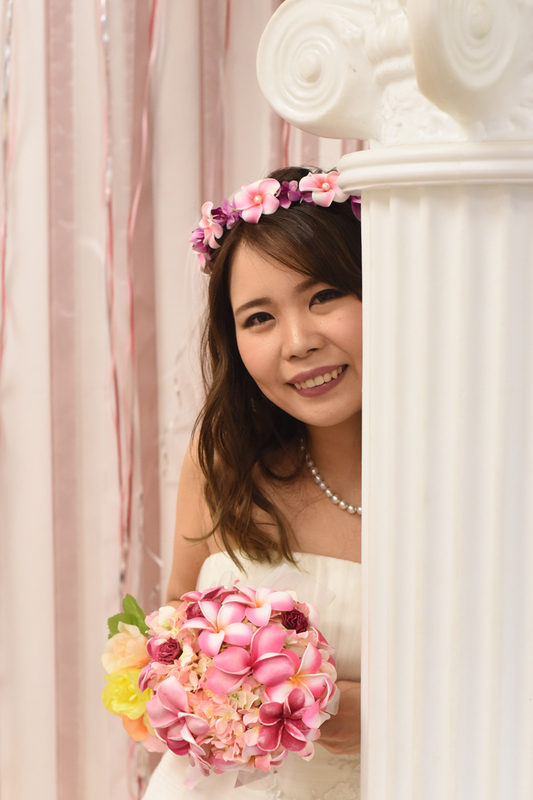 Beautiful Bride Mayumi on Valentine's Day in Honolulu Hawaii! So photogenic we gave her two pages. 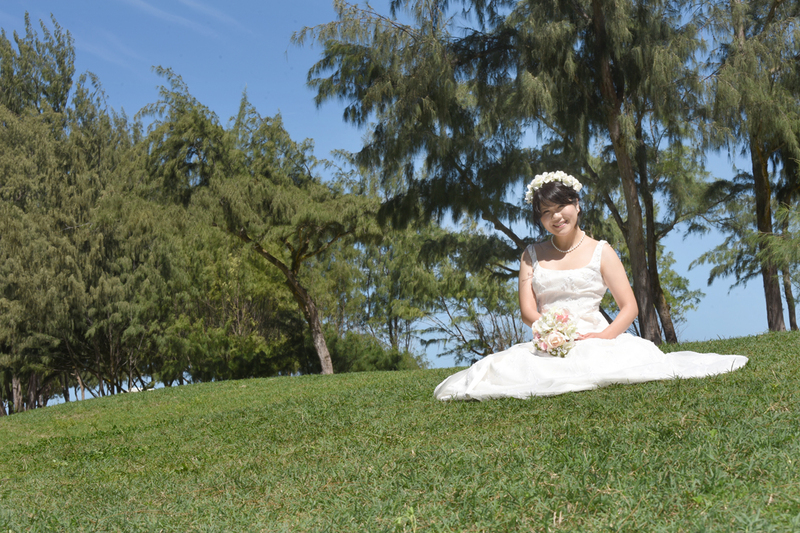 And it's a romantic day too! 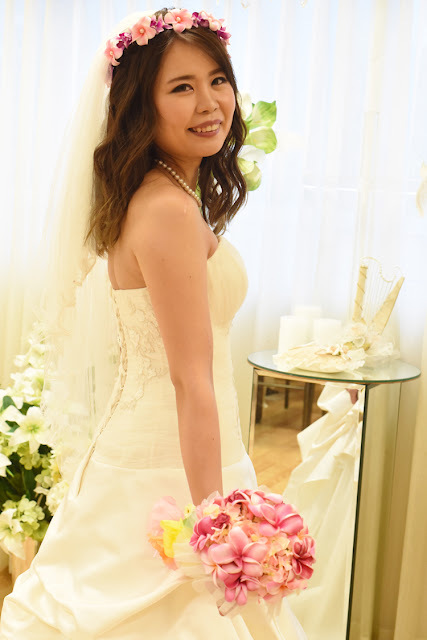 Even all wet Mayumi is gorgeous! Her cheerful disposition makes her beautiful inside and out. 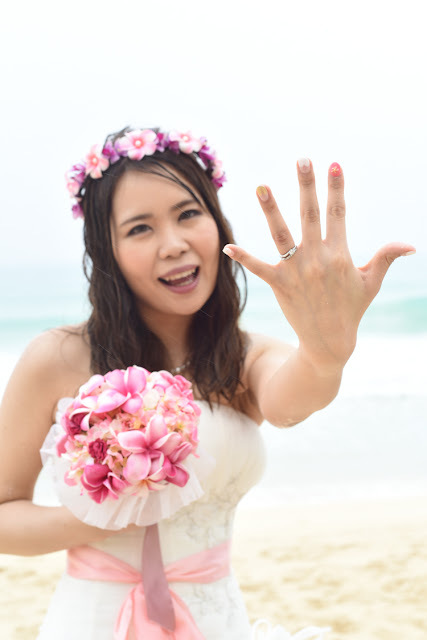 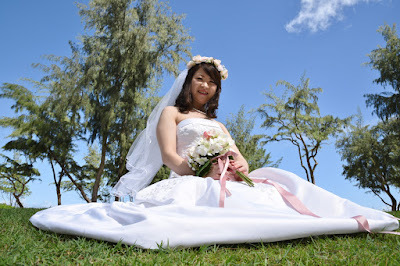 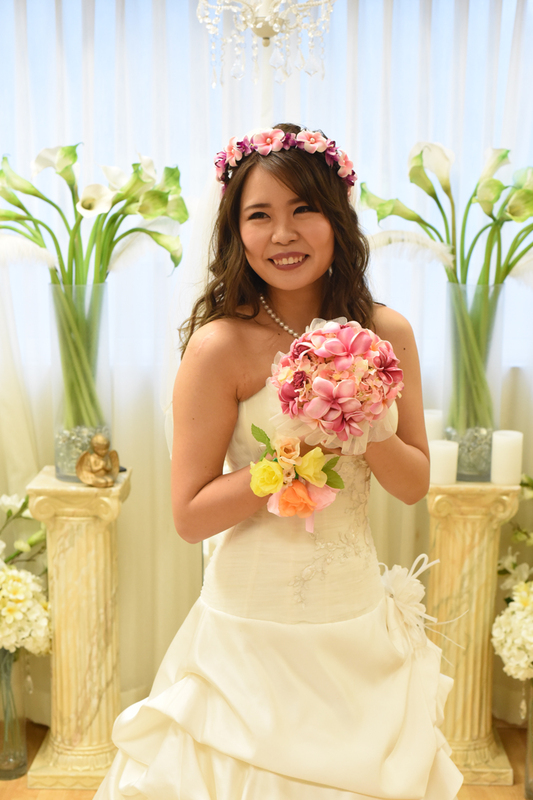 Lovely photo of Japanese Bride Yuka with her pink flower bouquet at Magic Island in Honolulu Hawaii. 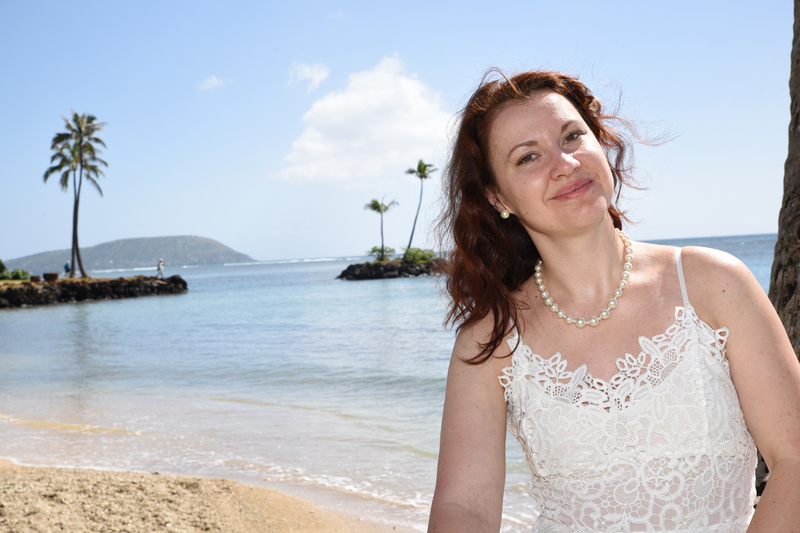 Nice day at Kahala Beach with European wife Victoria.